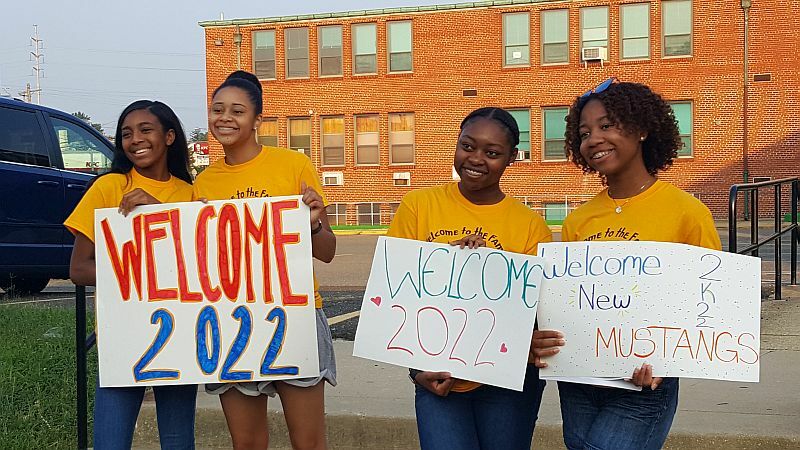 Bishop McNamara High School seniors, faculty, staff and administrators lined the school driveway with colorful signs and excited cheers as the freshman class arrived on campus for their first official day of orientation and team-building. The students from the class of 2022 were able to meet their classmates, and participate in activities with current students and our faculty and staff. The Freshman Retreat is held each year to help incoming freshmen acclimate to the Bishop McNamara campus before the academic year begins. 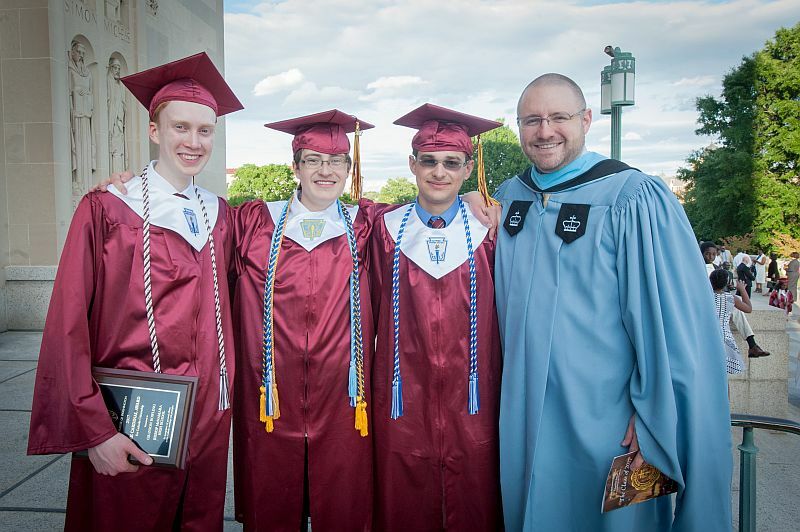 It's a great way for students to form lasting friendships and really become part of the Bishop McNamara family. Check out the pictures below from our Freshman Welcome! We hope you will join us as we say congratulations to our freshmen and look forward to their accomplishments for the next year. For direct link to the images, go to Welcome BMHS Class of 2022.